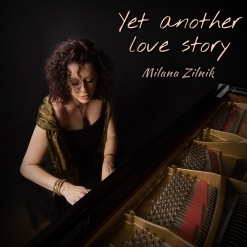 Yet Another Love Story is an incredible solo piano album by Milana Zilnik and although I have thoroughly enjoyed all of her music, this is my favorite of her albums (so far!). 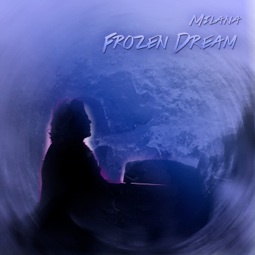 (Milana released several albums under her first name only, but this one is first and last names.) How this album came into being is an interesting story in itself. 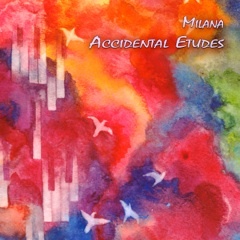 Many people have told Milana that it is the emotional quality in her music that makes it stand out for them, so the idea came to her husband, Arty, to record an album of improvisations based on a list of feelings. He Googled “list of feelings” and got twelve that range from “joy” to “disgust.” After recording three tracks the first day, the concept for the album shaped itself as not simply a compilation of improvisations on different feelings, but as the story of their life together. From the euphoria and excitement of new love to the inevitable tough times to moving forward together (or not), most relationships go through these stages. So although the story is Milana’s and Arty’s, the music expresses intense emotions that most of us experience at some time in our lives. What I find the most remarkable about this album is that not only are the emotions varied, so are the playing styles of the music. The first few tracks are buoyant and jazzy, then there is dark turbulence, and then the music smooths out to a warm, even keel. The transitions from one emotion to the next are amazing - especially when the twelve pieces are all improvisations. Yet Another Love Story is a strong contender for one of my Favorite albums of the year! The album begins with “Anticipation,” a jazzy piece that beautifully expresses the lighthearted excitement of the beginnings of a new relationship - dancing on a cloud! “Surprise” is always a big part of getting to know someone and discovering that you actually “click.” This piece is bright, playful piano jazz with a big, wide grin. “Joy” is still playful and fun, but is starting to mellow a bit. “Doubt” takes a very different turn, feeling more introspective while expressing hurt and wondering what comes next - very soulful and deeply emotional. “Fear” is very dark and murky. 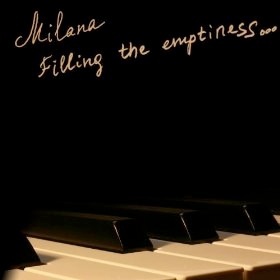 Some of the chords Milana uses in this piece are bluesy, but the emotions go far beyond “the blues” and are much closer to despair. “Disgust” is not a catchy melody and is uncomfortable to listen to, but it certainly gets its point across, and that’s what artistry is all about. “Anger” is also very dark and turbulent, but the emotions are much more focused, explosive - and cathartic. “Guilt” often follows anger when words are said that cannot be taken back. This piece seems to go inward, casting blame and trying to heal from the emotional wounds that have been inflicted. “Sadness” is a gorgeous piece played with an open heart and complete honesty - very smooth and extremely poignant. “Contemplation” gradually brightens as spirits start to lift and life looks better again - very beautiful! It can be difficult to regain “Trust” as healing progresses, but it’s a wonderful feeling when trust returns and this piece captures that feeling with a sense of calm as well as strength. “Love” has a melody that could support lyrics, but is so expressive that words would only get in the way. Graceful and elegant with deep emotion, it’s a wonderful ending to a truly exceptional album. Yet Another Love Story is one of those rare albums that rings true from the first note to the last and Milana Zilnik really poured her heart into this one. It is available from Amazon and iTunes. Very highly recommended!